With the addition of some well placed herbs and spices you really don’t miss the extra salt, and the sweetness of the sugar can be replaced with a combination of sun dried and cherry tomatoes. 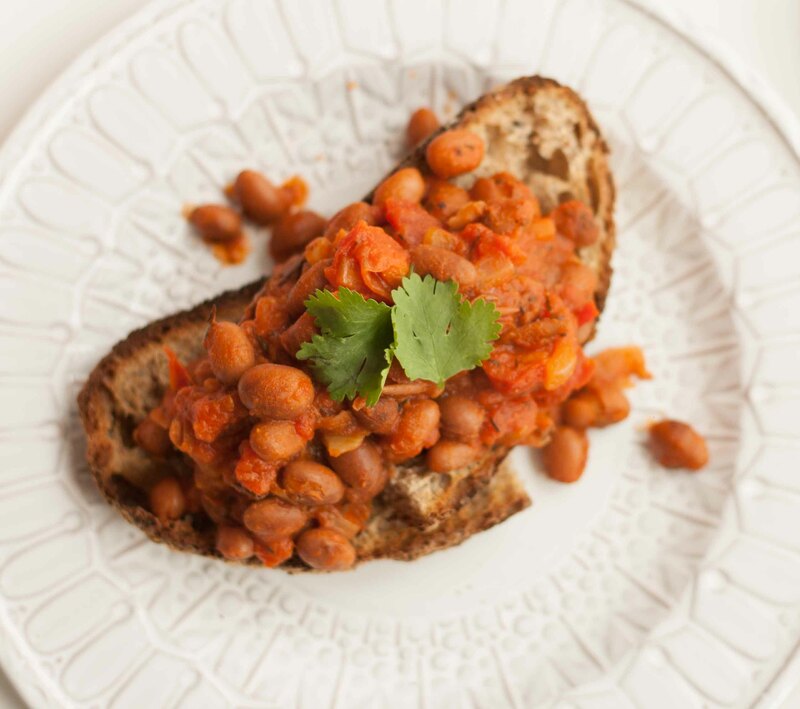 This recipe is almost as easy as opening a can of normal baked beans, so really there’s no excuse! Served up on some sour dough toast with a fried egg on top you’ve got yourself a fantastic dinner to add to the rotation! Heat the oil in a medium sized pan over a medium heat. Fry off the onion until it is translucent and starting to brown. Add the 3 types of tomato and cook until they start to bubble. Add the beans, spices and seasoning and simmer for 10 minutes until the sauce has thickened nicely. Serve on thick slices of toast with a fried egg or some grated cheese on top. Enjoy!